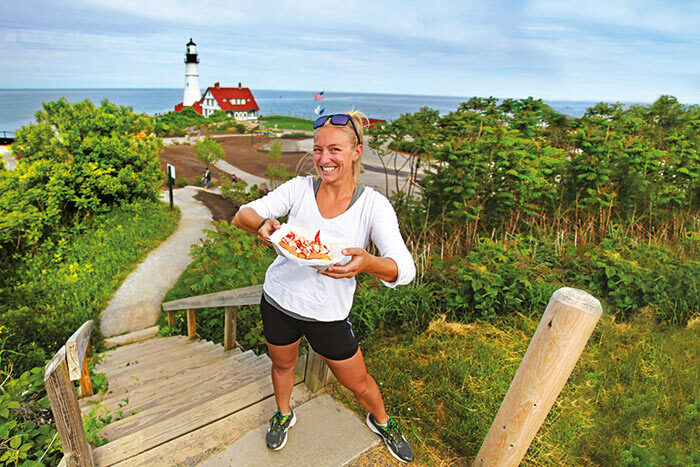 Maine might just have it all. 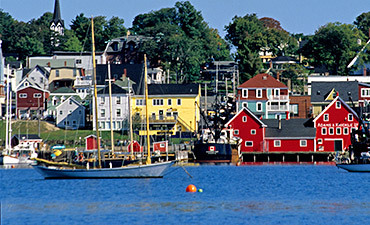 Historic fishing villages adorning miles of rocky coastline. 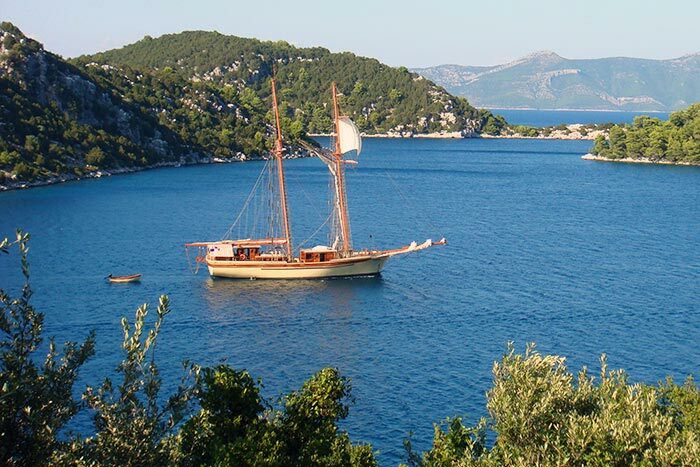 Romantic schooners weaving around islands and lighthouses. 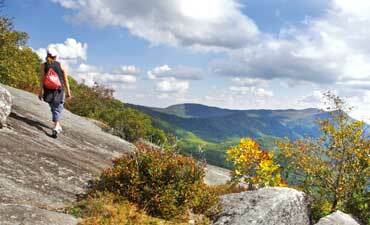 Winding hiking trails revealing ocean vistas, wildflowers and warblers. Festive lobster bakes with freshly plucked crustaceans. It's essential New England. And it's all here. In Maine. 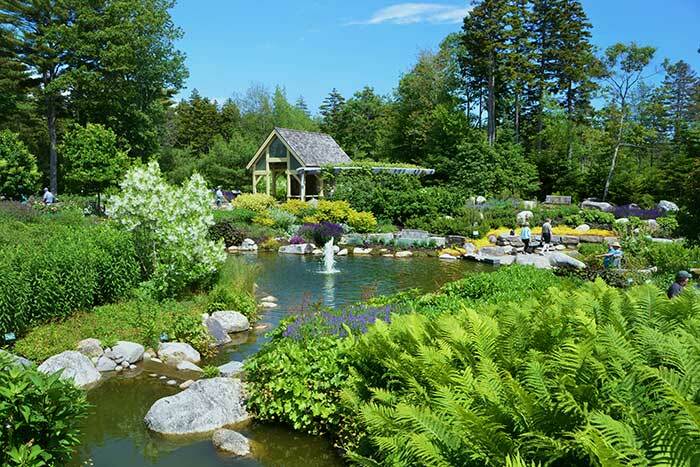 Days 1-2 Explore New England's diverse landscape at the Coastal Maine Botanical Gardens | Camden delights with its seaside beauty, quaint boutiques and seafaring history | Take a scenic sail on a restored windjammer | Ascend Camden Hills State Park's Mount Battie for panoramic views of Penobscot Bay | Spectacular vistas of cobalt-blue Lake Megunticook come into sight from a rock-ledge lookout. 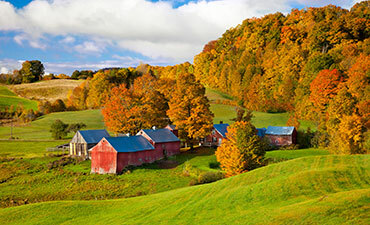 Day 3 Amble along the historic carriage roads built by John D. Rockefeller in the 1900s | Enjoy unparalleled views as you hike in Acadia National Park from the shore of pristine Jordan Pond to the bald peaks of Penobscot and Sargent Mountains | Stroll the lively streets of Bar Harbor, perched on Mount Desert Island. 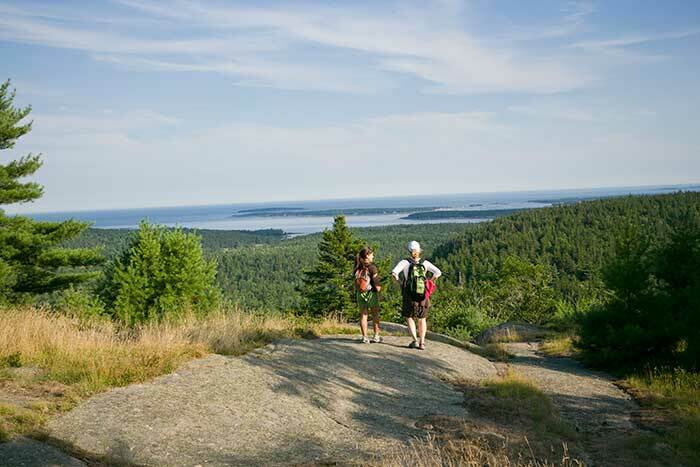 Day 4 Trek up mighty Cadillac Mountain and learn about its unique granite trail system | At the summit, soak in 360-degree views of the harbor, Egg Rock Lighthouse and dozens of outlying islands | Head up the narrow trail of Dorr Mountain, Acadia's second-highest peak, for a look over the east side of the park. 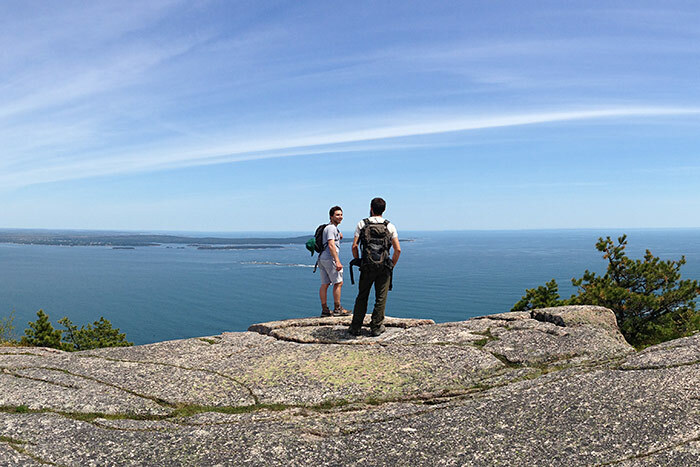 Day 5 Dip your toes in the Atlantic Ocean at Sand Beach as you stroll on Acadia's impressive Great Head Peninsula | Hike up striking rocky cliffs for a shimmering ocean view | Wind down with a final Backroads picnic as we make our way back to Portland. Note: The terrain we encounter on this trip ranges from gently rolling to hilly with several steep longer climbs. 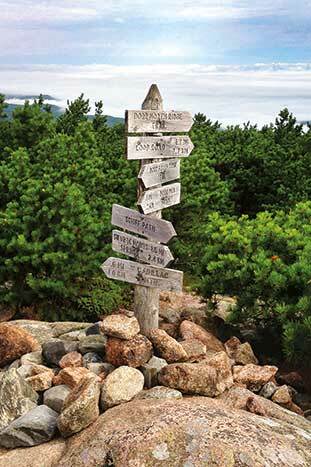 Hiking trails are often uneven, with roots, mud, rocks and other obstacles. Please note that unpredictable mountain weather and steep terrain can make hiking conditions more challenging than the mileage suggests. 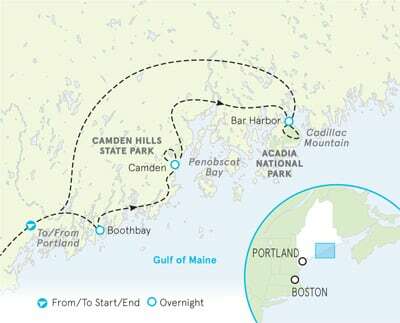 In Maine you head off each morning after choosing among several expertly designed routes—all with detailed directions, mileage and shuttle options. Unlike trips with one fixed daily route (or worse, one guide that everyone's obliged to follow), you're free to enjoy the best of the region at your pace, stopping wherever you want to explore further. With Backroads you won't end up with kids on what you thought was an adult trip; we have exclusive departures for families, so they're off having their own adventures. 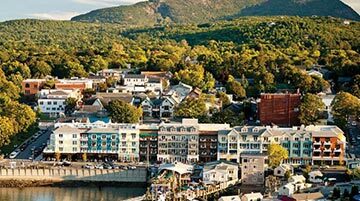 As you browse our unrivaled selection of trips and dates, you can count on finding a trip in Maine that's geared exclusively to your choice of traveling companions. 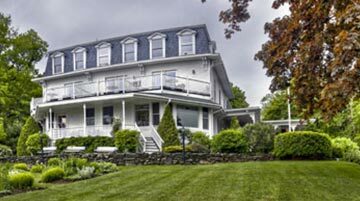 On this trip featuring Premiere Hotels, you can count on the best lodgings Maine has to offer. In fact, the hotels we've chosen in this region have higher retail room rates than those offered by any other active travel company—even when their trips cost more. 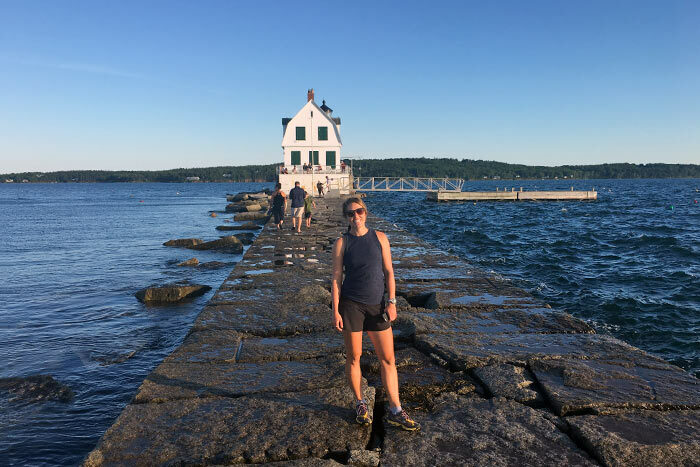 We design and support our Maine trips to suit mixed abilities and varied interests—so you can set your own pace, then change things up as the day unfolds. And all guests are free to do the same, traveling together or apart, with no one cramping anyone else's style. Which sounds easy in theory, but it's hard to pull off. Here's more on how we do it.